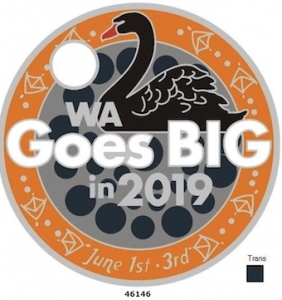 2019 Brings the start of Path Tags to WA Goes Big collections. 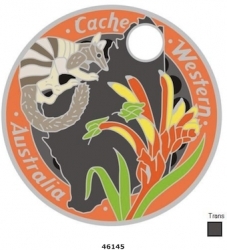 The design is similar to the Coins, yet smaller and easier to trade with fellow Geocachers. 2) A silhouette of WA with native flora and fauna. No Further bundling discounts from this point.